Grow this enormously versatile summer fruiting long cane variety in a container! The long canes look stunning trained up an obelisk or 'wigwam' in a large pot, making a decorative and productive addition to the patio or decking. This mid/late season selection was bred in Canada, and is now one of the world's most popular summer fruiting varieties in a whole range of climates. 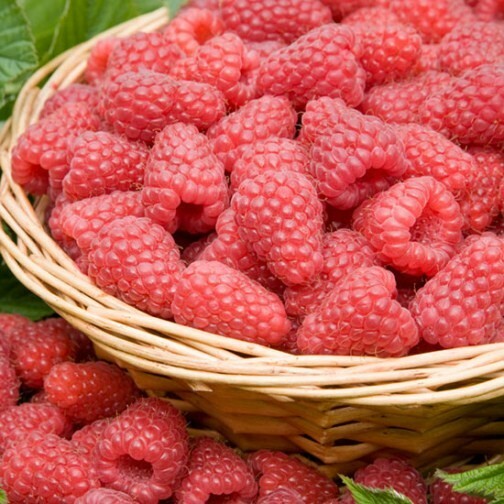 Raspberry Tulameen has extremely high yields of very large fruit with a lovely sweet flavour are produced from the first year from these easy to grow long canes. Height: 150cm (59"). Spread: 50cm (20").